"I recommend the hotel and will stay again once a revisit ray..."
Have a question for Madina Hotel? "At this price it was very good value." "The bathrooms and floors throughout have new tile - very clean and spacious room." "One of the staff members studied in the u.k., speaks English well and was very helpful." "Good for 1-2 days on the way to Samed island." Ideal for fun and relaxation, Madina Hotel is located in the Rayong City Center area of Rayong. From here, guests can enjoy easy access to all that the lively city has to offer. For sightseeing options and local attractions, one need not look far as the hotel enjoys close proximity to The Shrine of King Taksin the Great, Yom Jinda Road (Old Town Rayong), Si Mueang Park. At Madina Hotel, the excellent service and superior facilities make for an unforgettable stay. The hotel provides free Wi-Fi in all rooms, daily housekeeping, 24-hour front desk, Wi-Fi in public areas, car park to ensure our guests the greatest comfort. Hotel accommodations have been carefully appointed to the highest degree of comfort and convenience. In some of the rooms, guests can find television LCD/plasma screen, mirror, towels, closet, internet access – wireless (complimentary). The hotel's recreational facilities, which include yoga room, fitness center, massage are designed for escape and relaxation. 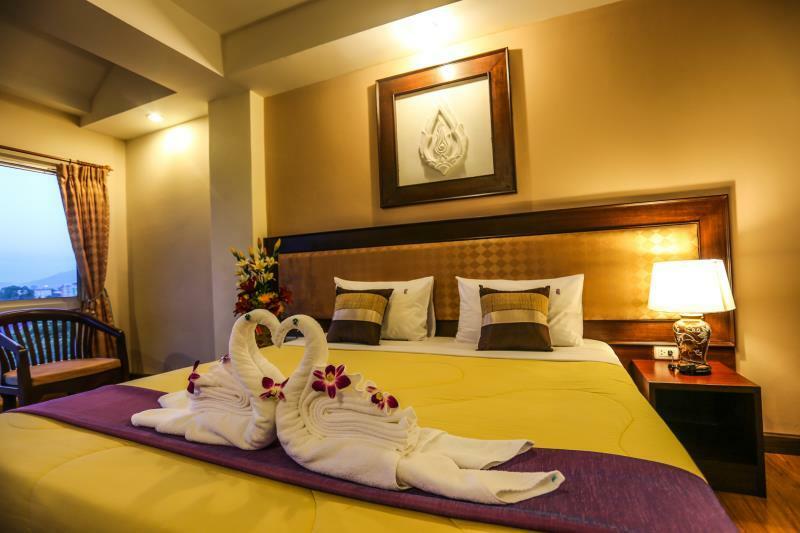 Whatever your purpose of visit, Madina Hotel is an excellent choice for your stay in Rayong. "Good hotel, very good location, nice staff." 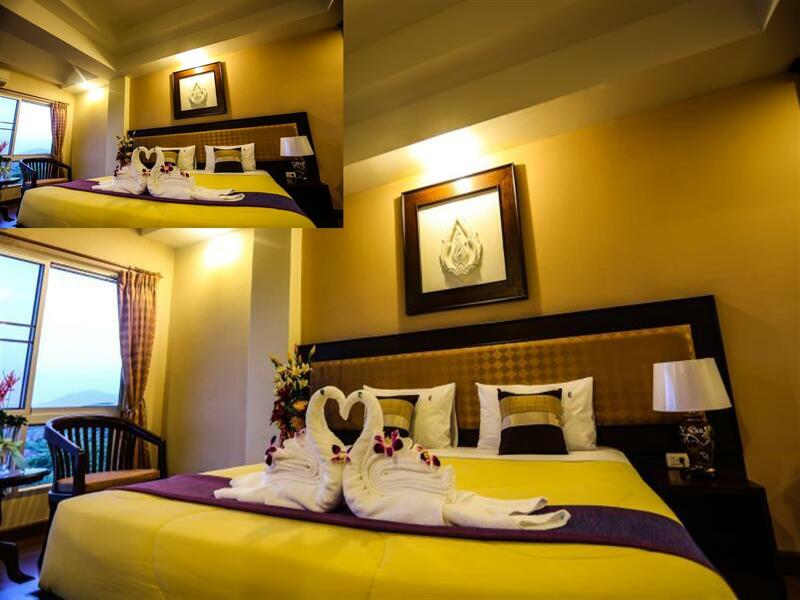 King Bed is not available for "Standard Room" and "Standard River View" room type. No problem with the hotel. Big green territory, very friendly and helpful staff, clean. However our room window looked at the construction: noise will start in early morning. The staff don't speak so much English. And the location is very far from any tourist attractions or beach. Good for 1-2 days on the way to Samed island. I was very impressed with this hotel, especially for the price. It's within 2 kilometers of downtown Rayong, but still has a very rural type appearance to it with beautiful lawns and a river running through the rear of the property and cattle grazing on the opposite side. The room had a beautiful outside view. The room was clean, modern and everything worked, it had a mini-bar in it, and the prices were surprisingly reasonable compared to most hotels. Madina is about a 10 minute walk to the evening market and there are restaurants available there. The buffet breakfast was basic but good. The only slight negative comment was that the bed had a very hard Asian style mattress that was not very comfortable, but acceptable. clean and clear. simply and delicious breakfast. Good hotel, very good location, nice staff. However, one thing that I don't like is the elevator. The floors in the elevator do not match with the real floor. For example, if you stay in 4th floor, you have to take the elevator to either 3rd floor or 5th floor. That's not a big deal, but it's not convenient for seniors, like my mom. Thank you for your comment , we will improve and hope to give you service next time. Enjoyed our 4 night stay at the hotel. Room was excellent and the staff were helpful. I guess my only complaint was breakfast; for me I wanted a Continental breakfast, but the eggs were invariably cold. For my wife, who wanted a Thai breakfast, she was very content. We enjoyed our stay as we had a car. If you do not have transport then do not stay here as it is 2 KM from the start of the city centre, which is about 4 KM long and about 8 KM from the beach where the main beach activities are. However, the Rayong beach is mainly for the Thais it seems, so if you are looking for lots of western style restaurants and western entertainment this area is not for you. I would stay at this hotel again as it was very good value and we were not looking for a romantic weekend, just a nice, clean hotel to stay. As a guest, when told by the dining captain to pick up 30-minute-ago, decayed breakfast fried eggs placing in a room-temperature tray in response to my common request for a freshly cooked ones from the kitchen, I felt quit surprise and upset. The tone of his statement, "we have already prepared the eggs in the tray" stirred my nerve, but as he told me such information he went to the kitchen and ordered ones for me. Apart from that experience, I am happy with the atmosphere and room although the booking was not flexible for any change. Nov 2017, rm 507, $33/night. at this price it was very good value. the location is not good for me. it's not easy to get a taxi. the bathrooms and floors throughout have new tile - very clean and spacious room. one of the staff members studied in the u.k., speaks English well and was very helpful. I would definitely stay again if there location suits my needs. I enjoyed my stay at the Madina hotel. The staff were friendly and spoke English which was a big plus. The room was nice and had a beautiful view of the river, many English tv channels and overall a nice hotel to stay at and feel like a home away from home. Unfortunately the previous review of this hotel did not reflect our experience. We stayed for 3 nights and found the room spacious and clean. However there were only 2 hangers in the closet and one spare pillow for twin beds. You needed motorised transport to reach anywhere, whether shopping centre or places of interest. The nearest motorcycle taxi point was 0.5 miles away. On the second day the restaurant was closed without notice to residents, but fortunately there was a good restaurant next door to the hotel that provided a wide range of Thai food. The breakfast was minimal and always luke warm. Foreign tourists were not catered for in the provision of newspapers in the lounge - only Thai papers. Not even a copy of The Nation or Bangkok Post (English language papers). This hotel is ideally suited for business guests with transport, certainly not ordinary tourists without a vehicle. A disappointing and costly experience so far as transport to places of interest was concerned. Good! We thought that it would be hard to find the hotel but we found it easily. It is very close to the local market and it is in town. The hotel looks kinda old but when we was there they are renovating the hotel. The rooms were clean and nice though. Sehr gut, schoene Garten Anlage mit Fluss, grosser Parkplatz,etwas Abseitz von der City.